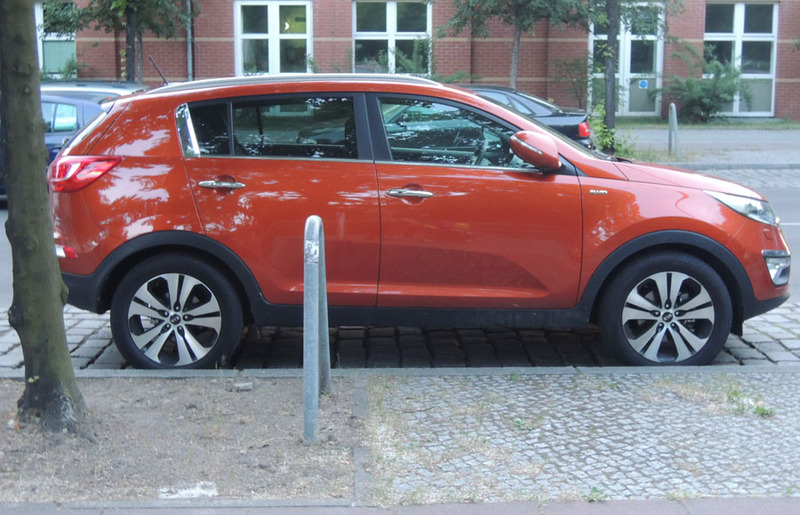 This Kia Sportage (this Range Rover Evoque, this BMW X6) has all its windows rolled up, but it’s not temporary. I’m not talking about the little narrow strips of glass that make up the car’s greenhouse. I’m talking about the slow and steady erosion of transparency and glass surface in car design that has shifted the proportion of glass to solid from approx. 1 to 1 a few decades ago to about 1 to 2 today. It’s the logical progression in a growing obsession with an absolute mitigation and control of the great Outside. Eventually, glass altogether will disappear from the material palettes of exterior car design. Not only because it means car manufacturers can continue to sell us all the little props and crutches, the rear view cameras and park distance meters, required by the physically impaired (deaf and blind) vehicles they have cooked up for us. Ever since Adam first placed a fig leaf between his most vulnerable and the surrounding wilderness, the material history of humankind may be reduced to this single aspect: the design of attenuation systems to control the communication between the in- and the outside. In capitalist systems, this interest in the in between in- and outside causes us to stuff it with stuff – climate control clothing and fabrics, air conditioning, alarm systems, air bags, dampening foams, gps systems, heads-up displays, etc. In the history of design and especially architecture, this relationship was perhaps for the longest time the single most important design determinant, a careful construction of inside/outside relationships, in the case of design according to aesthetic principles. In ways I cannot immediately explain, the extension of an ever more intricate web of control and harnessing networks, meshes and filters to the last dominions of the great Outside (the Arctic, the ocean floors), seems to be synchronous with a growing introversion and an accompanying loss of transparency in car design. So how to begin explaining this waning interest in an immediate exposure to immediate material reality, to wind, to temperature, to smell, to pollen, toxins, to the elements? 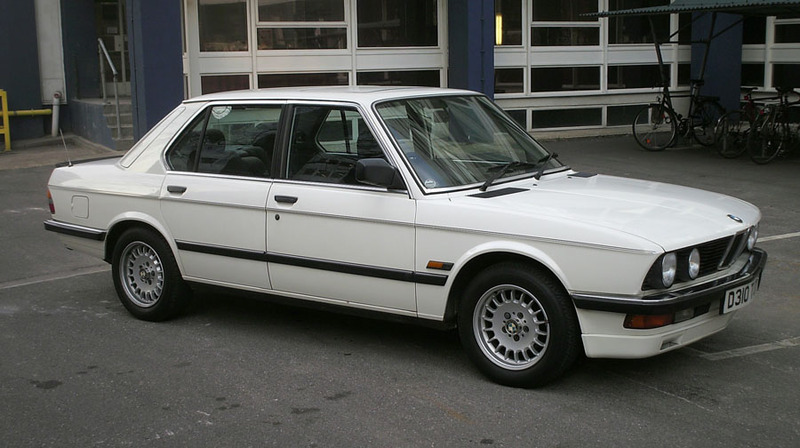 A shift in car design occurs when Chris Bangles takes up the helm of this department at BMW. He introduces two things: a realignment of car design with architecture, specifically the architecture of Frank Ghery, more specifically, the architecture of the Bilbao Guggenheim and its cuts and folds, on the one hand, and on the other, the introduction of iDrive, an information system that places the spoils of the previously mentioned constantly bifurcating information meshes and systems, at least metaphorically, under the control and into the palm of the BMW driver. He controls this epistemological apparatus with two gestures, a rotation and a tap, of the iDrive knob. The insinuation here is, of course, that in essence, one could control the mining of Manganese from the Arctic ocean floor from the driver’s seat of an executive sedan with the tap and turns of a single knob. This is vastly more fascinating than looking at a perhaps already all too familiar landscape of one’s daily commute. How could it compete with the rush of setting big things in motion with the innocuous effortless swipe or touch of a finger? Though why one might still have to commute at all is not the subject here. The consequence is an increasing disinterest in the immediate physical surrounding. 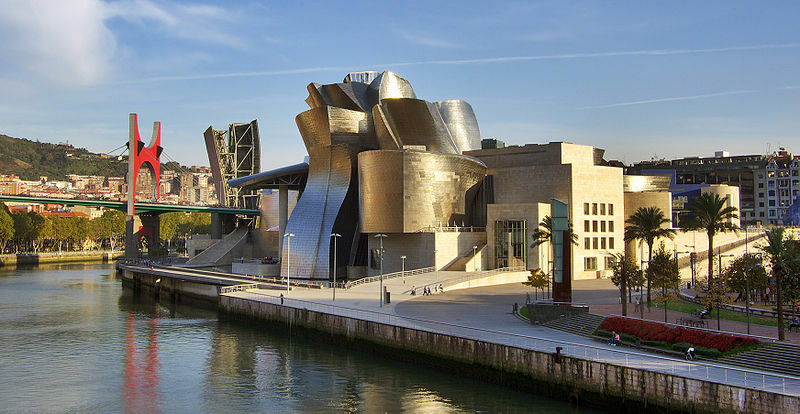 The Guggenheim Bilbao itself is an interesting and telling reference of a growing introversion of physical space. Technology threatens to fold outside and inside into each other in a kind of Klein bottle configuration. The building itself is perhaps the epitome of the architectural introversions of Frank Ghery’s architecture, of a growing disassociation of the exterior from the interior and vice versa. Chris Bangle’s vision was really for a kind of sculpture on wheels, though the reference is superficially to architecture, for if any difference shall remain between architecture and sculpture, the fault line runs somewhere through the twists, turns and folds of Ghery’s inhabitable sculptures.